As more and more of the installers, especially for browsers, goes online, their installers had became smaller and smaller. In fact, most of these installers pulls the actual installation right from the Internet during installation. What you actually download is nothing more than a downloader. So today, let's visit Opera. The default installer is the one you get when you click the big Blue button in the above screen. But however, do you see a smaller line of text just below it? Yes, that is the link to the Offline Installer. This is very useful when you are in an environment with funky proxy (that doesn't really work) or without Internet. 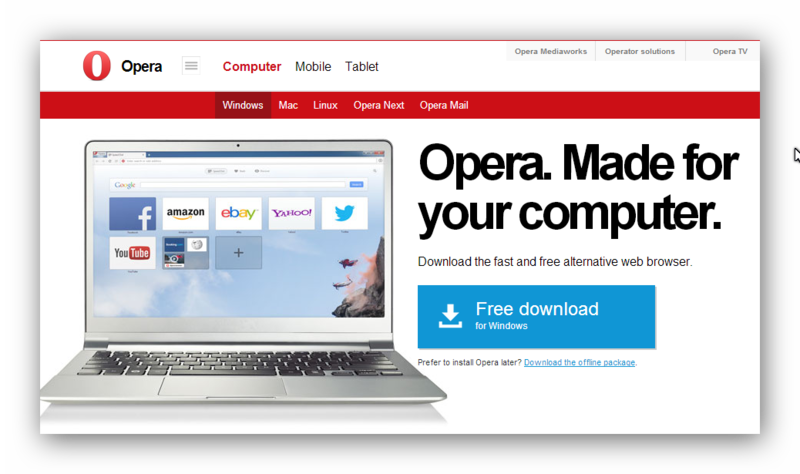 You Opera can still be updated using a Thumbdrive or something along that line.